Chivers, Nick. 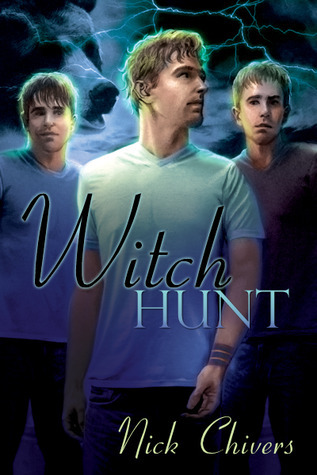 “Witch Hunt” Dreamspinner Press, 2011. Mike is a witch who thought the past should stay in the past. He has all kinds of powers and he put the Bands of Binding on so he could monitor them. Quite suddenly he gets a visit from Drew, his best friend who brings along his partner, Jerome. He has come to tell Mike that someone from his past wants to see him dead. The three men try to get to Brazil where a magical council meeting is to be held and perhaps sort out this sordid business. As they travel, Mike meets Rick but Mike is still not over his last relationship and is now asking to come back and pick the romance up again. Mike, however, is more concerned about his safety. I have to admit that this is not the kind of book that I usually would choose to read so I began it with a sense of not really wanting to enjoy and I found myself looking for negative points. Before I realized it, the negativity disappeared and I found myself enjoying the read. The story itself is quite good and it is possible to overlook the stilted dialogue. The characters were well developed but there was also a bit of a lack of depth and I would have liked to know them a bit better. Nonetheless, I found this to be an interesting read and I am sure that as the writer continues to write a lot will fall into place. This entry was posted in GLBT fiction on November 17, 2011 by Amos.